Shinkai (眞改) was the eldest son of the first generation Izumi (no) Kami Kunisada (和泉守国貞). In the beginning, he inscribed his name in the same manner as his father, Kunisada (国貞). He is known to have made many daisaku blades for his father in his father’s later years. 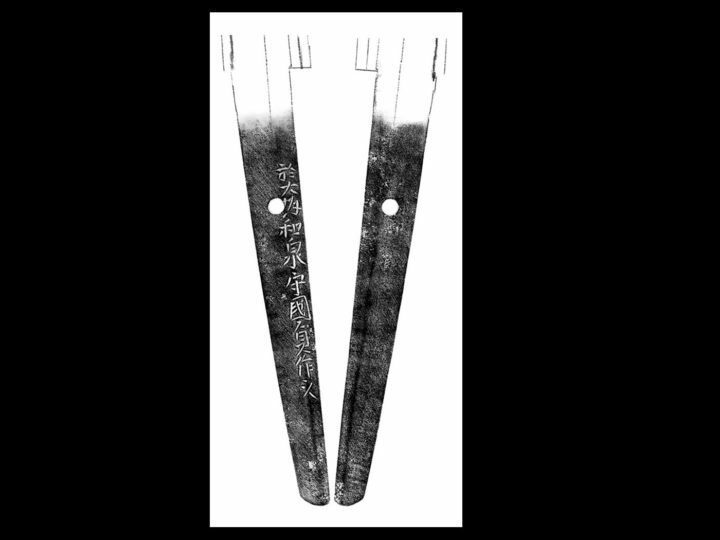 Around 1661 he received the right to put the kiku mon on his blades. Around 1672 he became a lay priest and started signing his name Inoue Shinkai (井上眞改). He died suddenly on November 9, 1682. Shinkai (眞改) became more famous than his well thought of father, Kunisada (国貞). Together with Tsuda Sukahiro (津田助廣), he is thought to be the best smiths of the Osaka school. 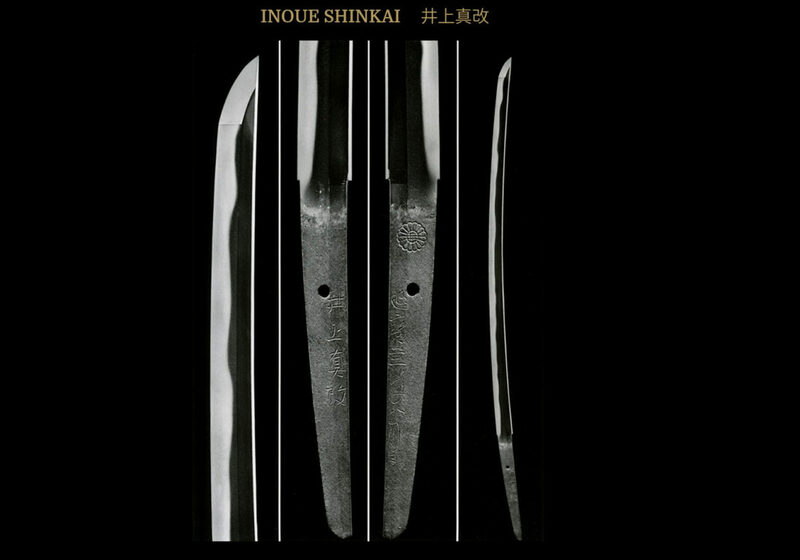 Shinkai (眞改) made blades that reminded one of Go Yoshihiro (江義弘) thus earning him the nickname as the, “Masamune of Osaka”. 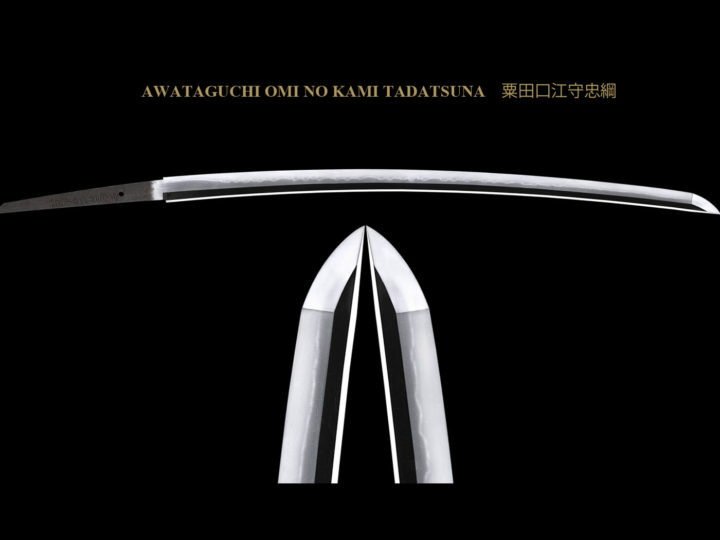 SUGATA: Shinogi zukuri katana and wakizashi are the most common. The sori is chu–zori and the kissaki is often done in an extended style. Generally his blades are iori–mune. JITETSU: This is the same as his father, shodai Kunisada, the ko-itame and ko-mokume is tight and clear. Chikei is mixed in and the ji-nie is thick and strong. HAMON: Suguba, o-notare,gunome midare and such are the most common. In all of them the nioi line is very wide. 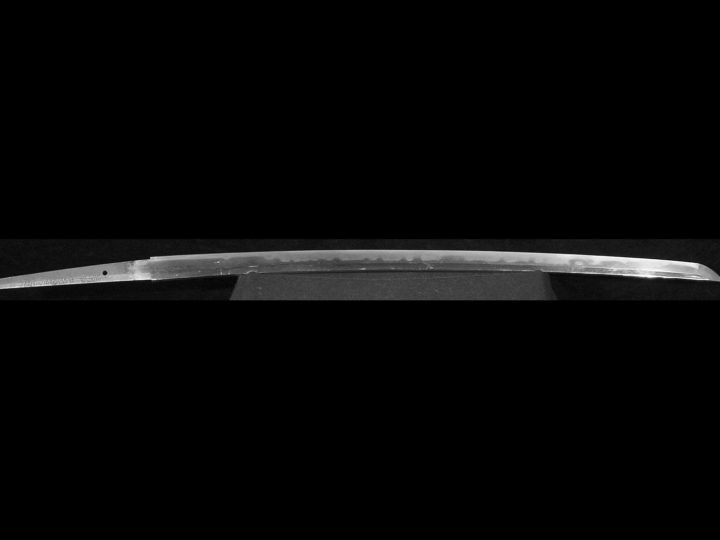 The hamon itself tends to become even wider as it approaches the monouchi area near the point. This is especially true of the hoso-suguba hamon. The hamon is in nie deki and the habuchi (area between the ji and the ha) is wonderful. Nie tend to spill over from the habuchi into the ji. Also, there are some with ara-nie mixed in, but it is high-grade ara-nie. The yakidashi is slanting as it approaches the ha-machi that is typical of Osaka Shinto. You will generally find an increase of activities in the hamon as it approaches the monouchi area. BÔSHI: Generally the bôshi continues the shape of the hamon with a short kaeri. The bôshi has wide yakihaba and sometimes looks like ichimai with rather rough nie. There are some that are nie kuzure and become like kaen. HORIMONO: Extremely few, there are none on katana. On rare occasions, you will see simple horimono such as ken and bonji in wakizashi and such. nakago: There are both ko-maru and maru-mune, the saki is iriyamagata but I have also found references to kurijiri and ha-agari-kurijiri. The yasurimei is generally o-sujikai, there is kessho at the habaki moto and the finishing is done extremely scrupulously. Again, as with the nakago-jiri, I have found references that speak of katte-sagari yasurimei as well. MEI: In the beginning he signed IZUMI (NO) KAMI KUNISADA (和泉守国貞) or INOUE IZUMI NO KAMI KUNISADA (井上和泉守国貞), and he did not put FUJIWARA (藤原) above his name. From Kanbun 12 (1672) he signed INOUE SHINKAI (井上真改). 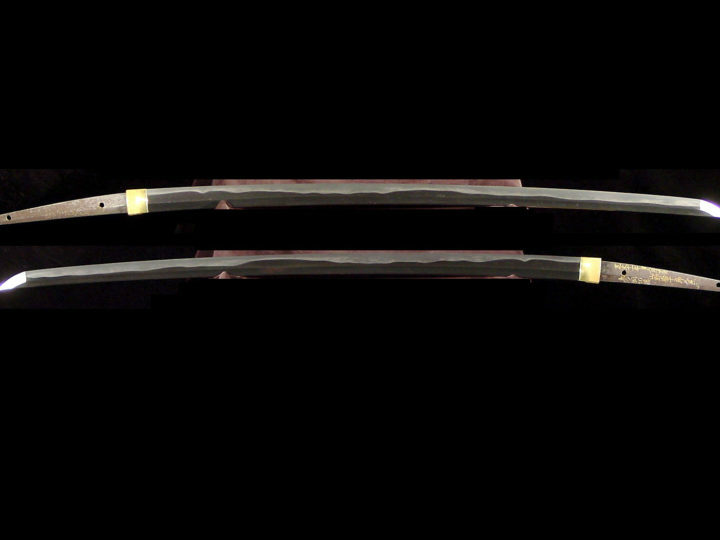 There are a great many swords with nengo (dates) and it is common for the kiku mon to be inscribed above the date. Shinkai changed the design of the center of the kiku mon at different stages of his life and this fact makes a helpful kantei point.